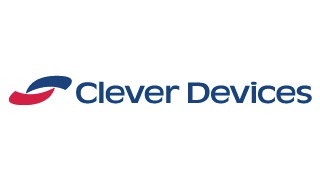 Clever Devices announced the launch of a Disruption Management module for its CleverCAD™ fleet management solution. The Disruption Management module enables CleverCAD users to react quickly to service disruptions that occur due to inclement weather, traffic or road conditions, or vehicle maintenance issues. 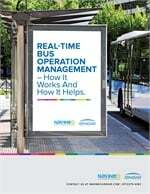 Users can quickly make service changes to address issues, and all changes are immediately reflected on affected vehicles and in its BusTime™ real-time passenger information system. This ensures that both operators and passengers get the updated information, in real-time. Bus Bridging/Shuttle Service - Quickly create a brand-new trip or route to accommodate a major disruption or unplanned demand for service. Same-Day Service Change- Quickly modify the service day (e.g., weekday, weekend) in anticipation of a change in operations or ridership, such as during a major snowstorm. Detours - Quickly react to road closures by rerouting a vehicle, creating an alternate route path. Service Restoration -Supports actions such as canceling work, reassigning work, performing turn-backs, and expressing a vehicle to reduce the number of stops it makes. RELATED: Clever Devices acquires RSM Services Corp. In all scenarios, passenger-facing systems such as websites, mobile apps, and digital signage are updated in real time to reflect the new plan, eliminating the confusion and frustration that occurs for passengers when the published schedule does not match the actual service.